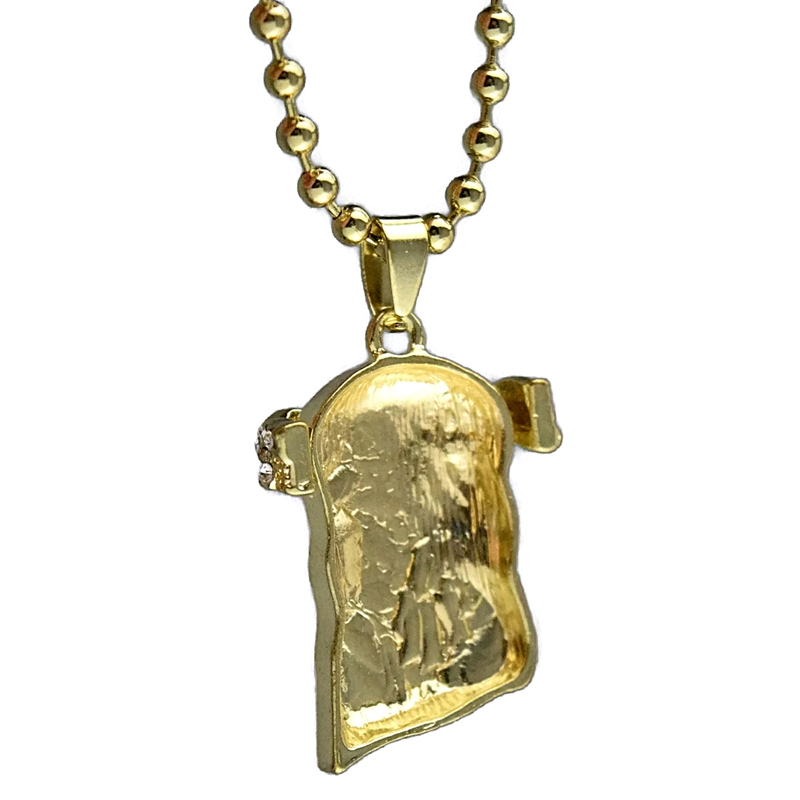 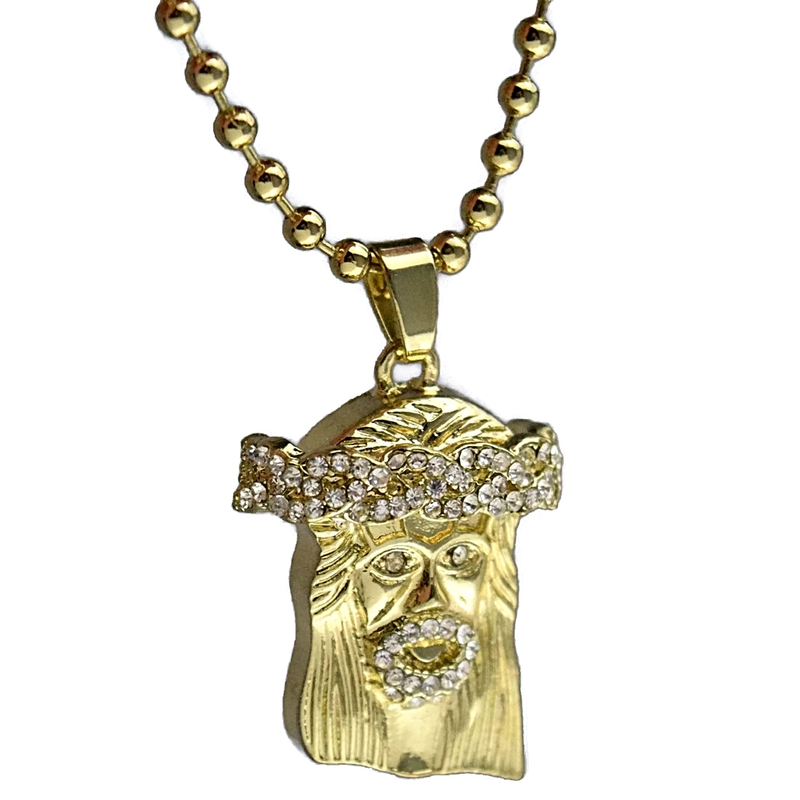 Gold finish iced-out Jesus piece micro pendant with ball chain necklace. 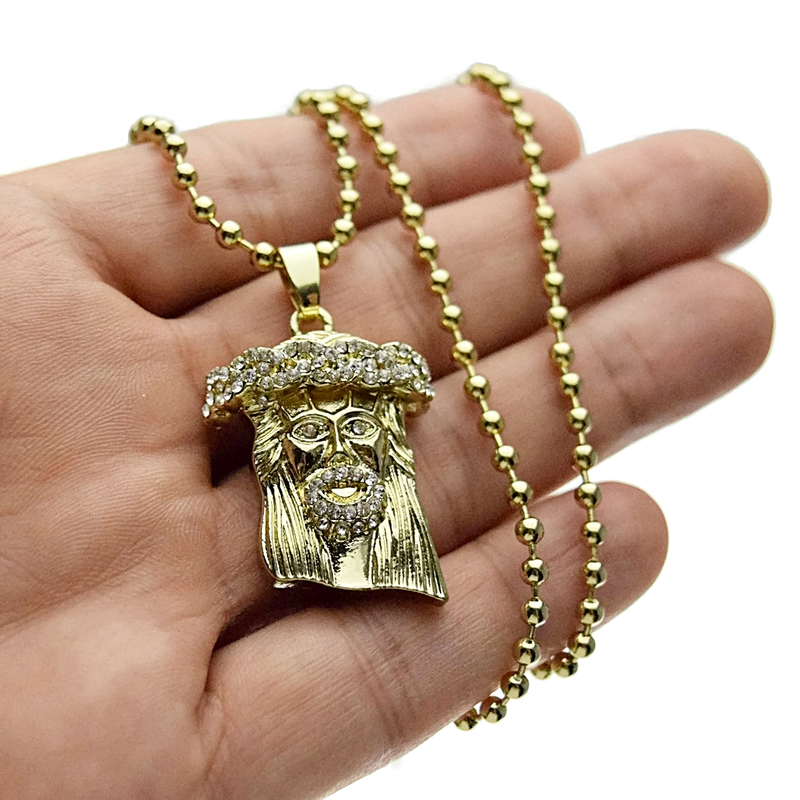 Micro Jesus head pendant measures 1" inch tall x 1" inch wide. 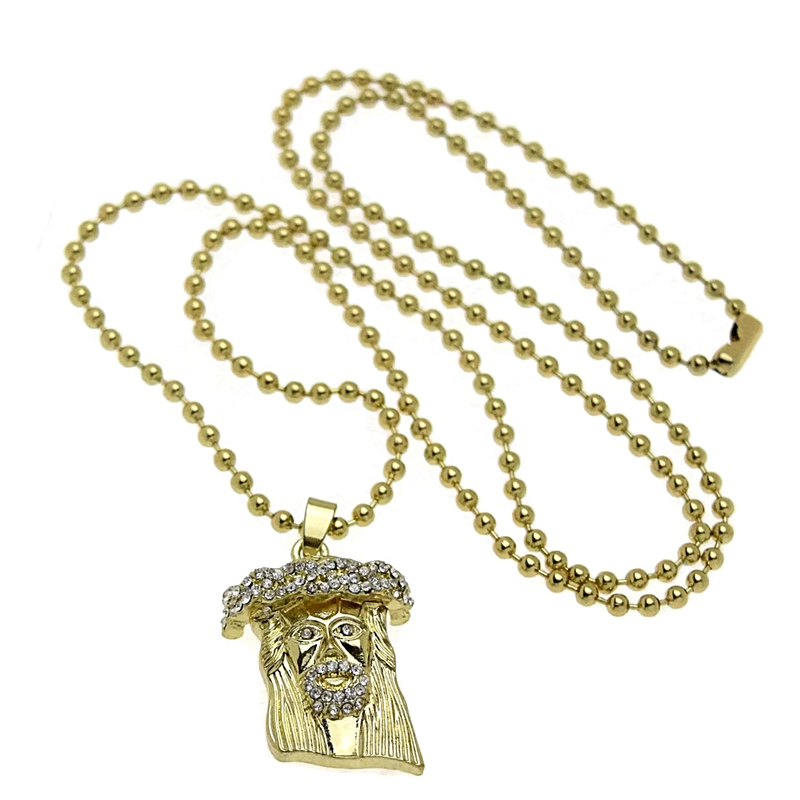 Alloy metal necklace weighs 25 grams.Includes 30" inch long ball chain. 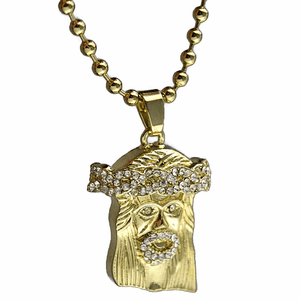 Beautifully detailed Jesus pendant, iced-out with clear stones on the crown. 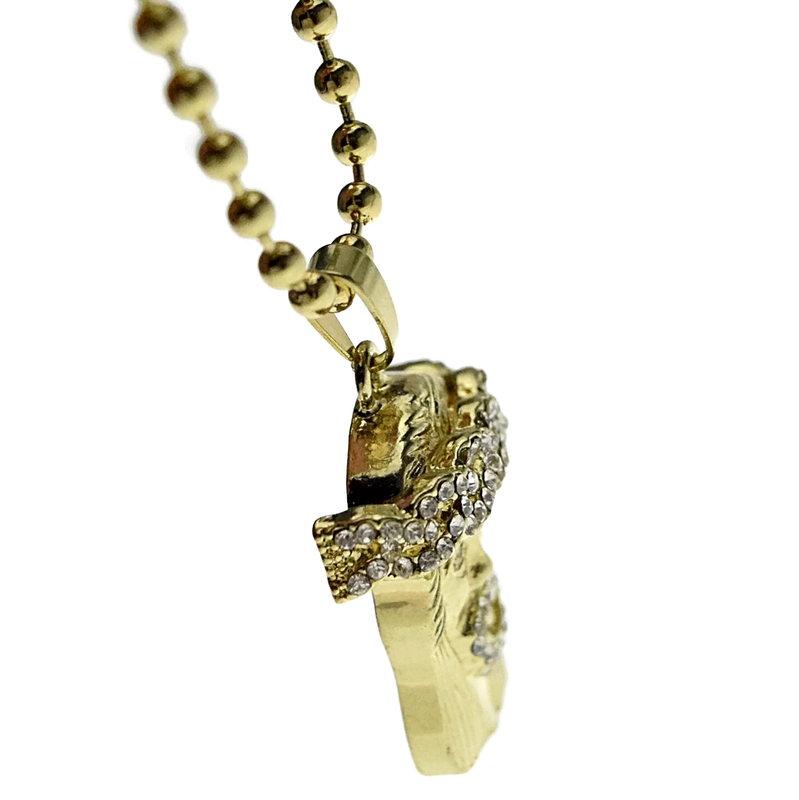 100% FREE SHIPPING in the USA.